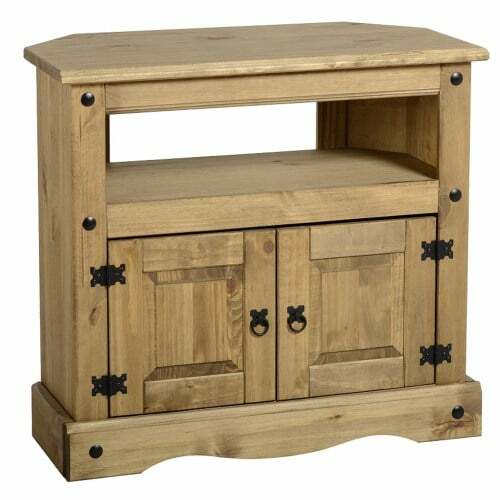 Compact and stylish this Corona TV cabinet is perfect for displaying and storing your media. Introducing a splash of Mexican styling, bringing in a warm, homely look to your space. 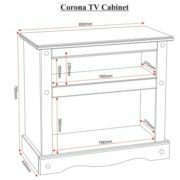 Perfect for a variety of room sizes, this Corona TV unit has a compact design holding a TV of up to 30 inches. 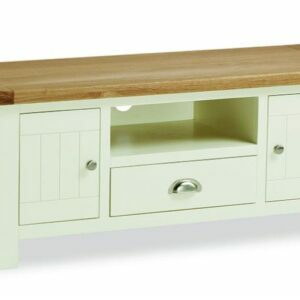 The open shelf is perfect for your DVD player and more as it is rather spacious. The cupboard is great for hiding away any clutter, DVDs or games. 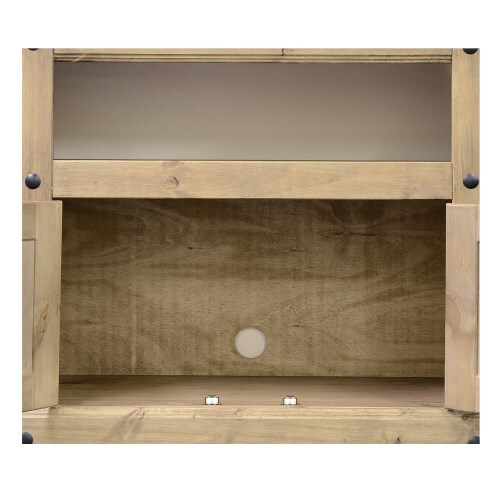 With a wire feed hole in the back you could even put consoles in here. 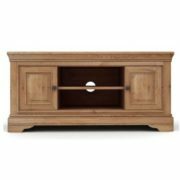 Crafted from solid pine the Corona TV unit has a natural warmth and inviting look about it, making it a beautiful feature for the home. 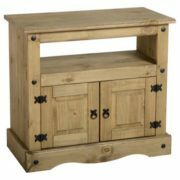 Touches of black iron enhance the Mexican influence giving this TV unit real character. 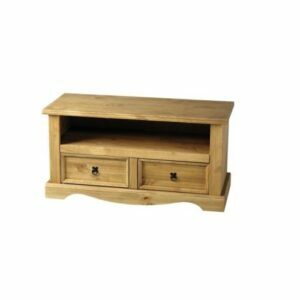 Constructed from solid pine with a plywood back this TV unit is strong and sturdy. 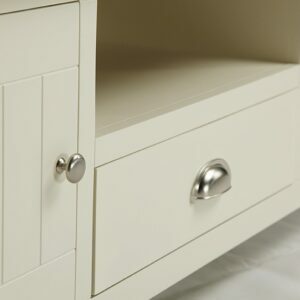 The door hinges and handles are made from iron with a black finish. 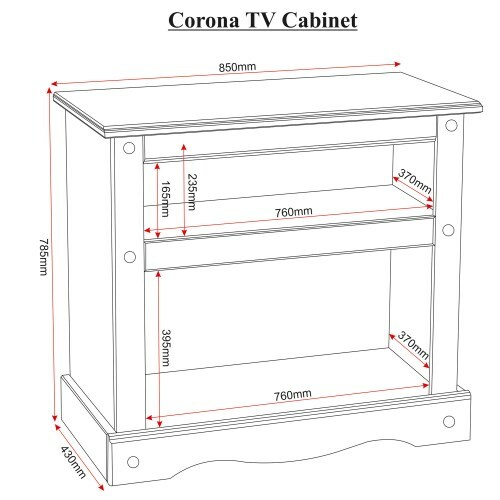 Treat me right Maintaining your Corona TV unit is fairly simple. A wipe over with the duster should do the trick, for tougher marks try a damp cloth before resorting to chemical cleaners. 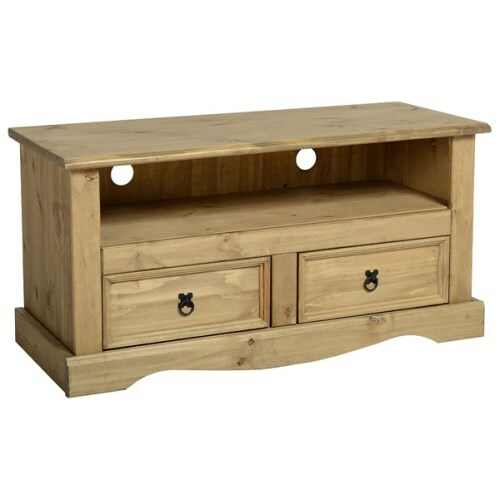 How easy am I to put together? This unit does require self-assembly. 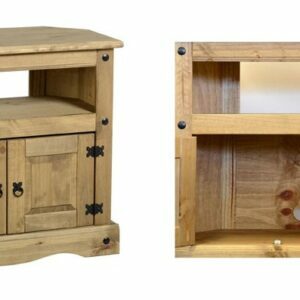 Accompanied with easy to follow step by step instructions it shouldn’t take you too long to knock this beautiful piece up. It is possible for one person to assemble this item.